Atotalx: User Experience at a Minimum! What You Can't Sacrifice in the Initial Launch? User Experience at a Minimum! What You Can't Sacrifice in the Initial Launch? 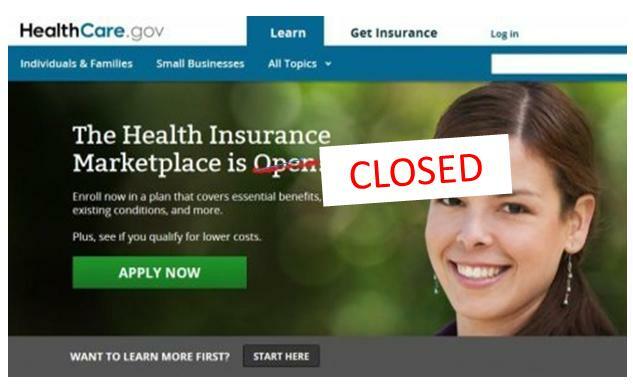 Amidst all the political furor about the Affordable Care Act, there is a great buzz about the blotched-up user experience of the enrollment website healthcare.gov. This puts on focus an issue that is persistent in the IT world for quite some time. The cause of positive user-experience being pushed down in the scheme of things. While the stakeholder mandate was clearly to provide a first-class experience, the initial launch of the marketplace website suffered technical glitches, confusing instructions, and incorrect feedback to enrolling users. The news articles are abounding with the theories about how a hurried timeline led to a compromise on the quality of the user-experience. For those in IT industry, a fast forward launch date is nothing new. Neither is the concept of releasing a bare-bone initial version a surprise. In fact, the concept of minimum viable product is widely known and applied in the software industry. However, the concept of minimum viable product is often interpreted incorrectly. So how do you define a minimum viable product? Consider the judgement day of initial launch. How would you want your product to be assessed? Imagine waiting eternally for the page to load when searching hotels on a booking website, or finding that the prices listed on a real estate website are incorrect, or confusing instructions when trying to make an online payment. While, the insurance enrollment website with its unique value proposition will survive unchallenged, any other consumer software in a similar situation will not be so lucky. Adoption gets a hit the moment the effort needed to use the product exceeds the perceived value of the product. 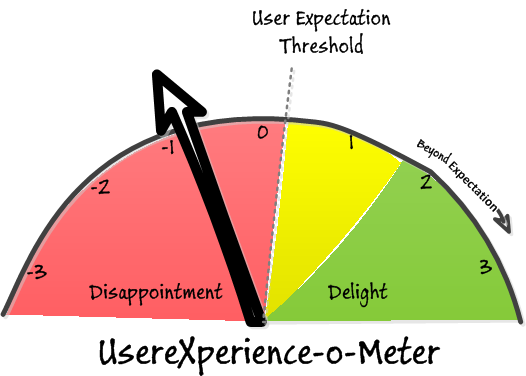 A stage when the total experience goes below the threshold of user acceptance. A total experience below the minimum user expectation might sound the death knell for a consumer product. For a travel or real estate website, it might mean losing the customer to the competition. For the online payment system, the competition is the known and more reliable modes of payment like cash or cheque. The threshold user experience is relative to user's prior experiences. In a market, where so many delightful experiences are vying for the user's attention everyday, the users are sensitized to higher threshold of positive user experience. While the user might not expect a ‘delightful’ from a utility website like insurance enrollment, they certainly do not expect a negative user-experience, with a broken usability preventing them from enrolling. A lack of usability, which in turn affects the usefulness of the website making it no longer a viable solution. A positive user-experience that is above the threshold user expectation is the minimum for a viable solution at a first launch. While you can add new features later, converting user disappointment to delight is tricky. A product rejected by users at the launch is as good as dead. A list of features which cannot be used by the users is of no value to the business owner as well. The concept of minimum viable product is meaningful when this byte-sized product is accepted and adopted by the users. A product product which does the job better than others for whatever bare minimum features it offers, is a success nevertheless. I will end this article with a open question to all the product owners, the startup founders and technologists: how do you want to define your product at a minimum - a small success or a big failure? extremely well put Victoria. when you are actually defining the list of features required in a MVP the work is tricky and partial to much subjectivity but at its conceptual core, you are dead on the money. great article. Great article! Cannot agree more! User-experience is 'not necessarily the sum-total of individual experiential components' its more than. When I experience music its not just about the individual notes, and technicalities. Its about how it makes me feel. Are there any considerations to be made for making the patterns a must in the development cycles by specifying their use in the requirements? e.g. Facilitate interaction X by using the pattern Y as specified in the library? In above scenario I have faced some pushback from developers and designers stating that patterns limit their ability to innovate and improve, and am wondering if making the library "open" as a collaborative git repo where everyone can branch and pull is a good idea and how to best constrain it.